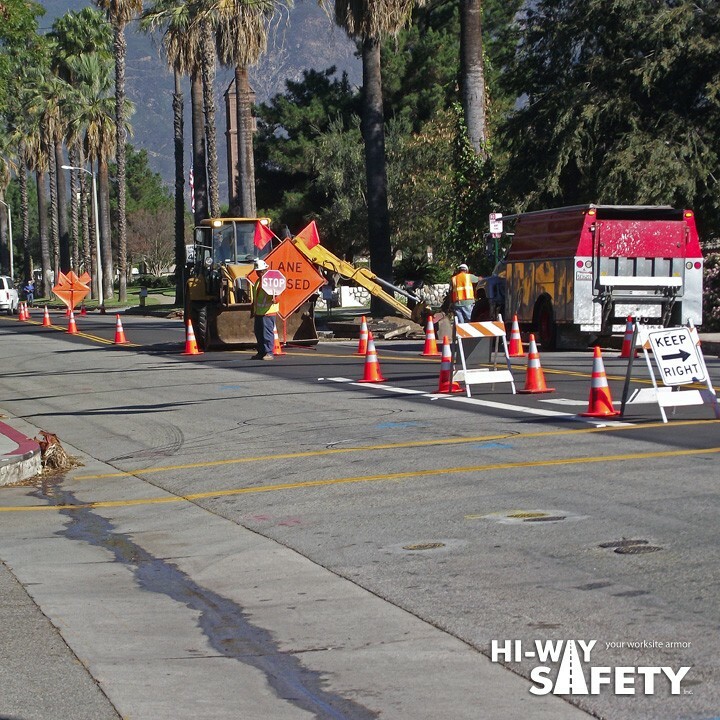 You can work in confidence when working with our crew because lane closures are a critical part of work zones when undertaking a road project or managing an emergency situation that involves traffic. Equipment and personnel will have to be coordinated, delivered, set up, and then removed when the operation is complete. For the safety of workers on a job site, emergency personnel, and the safety of commuters affected by the closure, it is critical that a crew with experience and knowledge is used to set up the closure. Lane closures are a critical part of work zones when undertaking a road project or managing an emergency situation that involves traffic. Equipment and personnel will have to be coordinated, delivered, set up, and then removed when the operation is complete. For the safety of workers on a job site, emergency personnel, and the safety of commuters affected by the closure, it is critical that a crew with experience and knowledge is used to set up the closure. Depending on the situation, equipment like messaging trailers and delineation devices may need to be set up to direct traffic. Traffic cones or channelizers can be placed to control the direction of traffic and move it over and out of the closed lane. Certified flagging crews can be used to control the flow of traffic through intersections and lane shifts. Signage and barricades may need to be set up to instruct drivers and control vehicle movement. To ensure the safety of a road crew, who are working in one of the most dangerous types of work areas, special care needs to be taken when setting up a closure. Specialized traffic devices designed to absorb some of the energy of a colliding vehicle are often put in place to help protect workers on the work site. Devices like crash cushions are filled with sand to help stop and deflect vehicles. Truck mounted attenuators can be placed ahead of workers and set up extremely quickly when speed is necessary. All of these services, backed by 40 years of experience in the traffic control industry, are available from Myers and Sons Hi-Way Safety Inc. Our team of qualified traffic professionals has experience in every level of a lane closure. You will work with certified traffic control planners and experienced, professional crews who will set up and operate each project to exceed WATCH and MUTCD requirements. A large fleet of vehicles outfitted with warning lights, arrow boards, and cone deployment boxes is available 24 hours a day. Because we are a manufacturer and supplier of traffic control products, we have everything needed for a safe closure available at a moments notice. Krail, Crash Barrels, cones, and messaging systems are stocked and serviced to be ready whenever needed. You can have us set up your closure to be run by your own crew and pick it up after or we can set up and monitor the work site for the duration of the operation. Keep your work area safe and traffic running smoothly with services from Myers and Sons Hi-Way Safety.